Sea Star Wasting Syndrome is a mysterious epidemic decimating starfish populations along the Pacific coast. This massive outbreak worries many biologists in the area because sea stars play an important role in the Pacific Ocean's ecosystem, and it is now the largest marine animal disease event in recorded history. 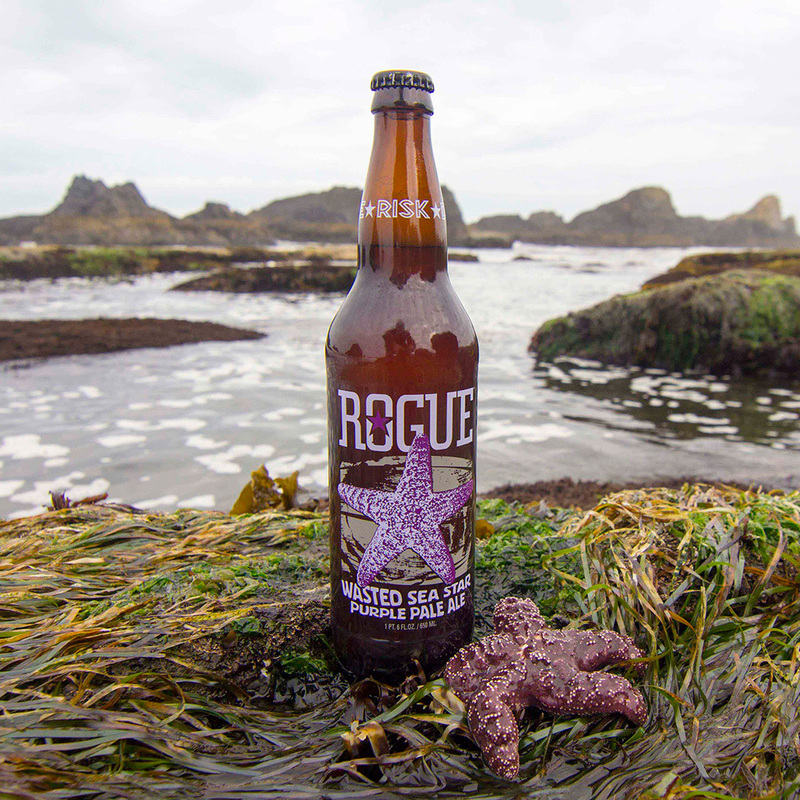 Oregon-based Rogue, best known for its Dead Guy Ale, has crafted Wasted Sea Star Purple Pale Ale. Brewed with purple corn nectar, it is, as far as we can tell, the world’s first purple beer. The cause is important for Rogue, since it is based in the small fishing town of Newport, Oregon, surrounded by people who make their livelihoods from that industry. A portion of the proceeds go toward research of the Sea Star Wasting Syndrome conducted by The Partnership for Interdisciplinary Studies of Coastal Oceans at Oregon State University. “We are extremely excited about this new partnership with Rogue to raise awareness about the importance of sea stars to healthy ocean ecosystems,” said Bruce Menge, the lead PISCO-OSU investigator. Though Rogue is unsure what style of beer to actually call it (especially since no one has brewed with purple corn nectar before), they reassured us that it is the perfect beer for the summer. Although for many of us, it will be tough to get our hands on one. Rogue is only shipping to California, Washington and, of course, Oregon, with very limited quantities.